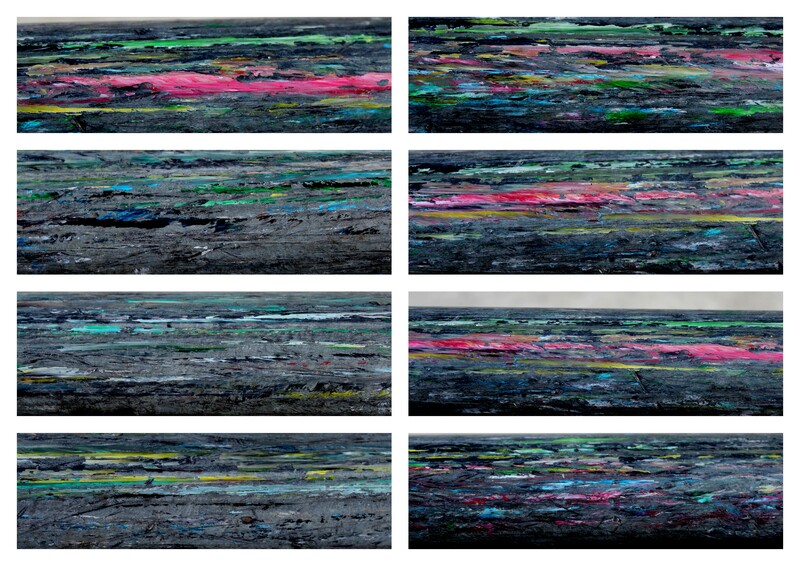 When all seen together they look like abstract paintings – like mine, full of texture and colour. Maybe that is what attracted me to them? I also like that the skate boarders leave a mark long after they go, not an obvious mark like a tag or unwanted graffiti, but a subtle un-intentional calling card, saying we were here. We brought colour and life here, on our fast moving wheels and with our daredevil tricks. This entry was posted on Wednesday, November 27th, 2013 at 9:27 am	and tagged with abstract art, abstract paintings, art and photography, art creativity, artistic perspective, creative endeavours, noticing the small stuff, opunake, Photography and posted in children, creativity, journal, Opunake, photography, urban. You can follow any responses to this entry through the RSS 2.0 feed. Wow! They do look like your paintings! I really like your positive words about youth and skateboarding. I think it is a great way to get kids out with their peers and have a little challenge and activity at the same time. Well said. Thanks for your comments and for reading my musings….